We provide song writing lessons and collaboration that can help you put pen to paper in Barrie. Lyrics and chords and song writing – oh my! If you are losing sleep at night because you can’t seem to get the words to your latest song out of your head, you need to come by Mojo Music Studio! Not only can we assist you in achieving your song writing goals in Barrie, Ontario, but we can also provide you with some techniques that make your song writing experiences easier in the future. 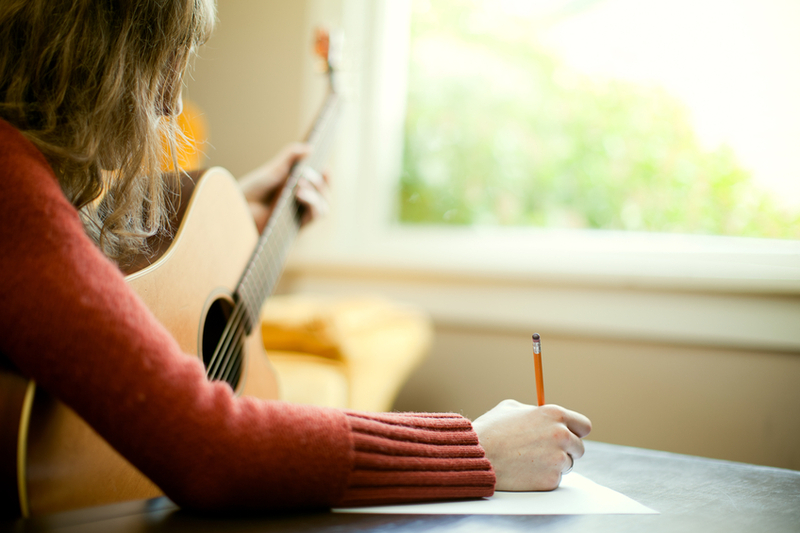 We also offer song writing lessons, so you can learn the basics as you get ready to jot down your next set of great lyrics. Creating a great song lyric can be difficult, but we’ll help you master your skills and feel confident that your song is complete when you work with us at Mojo Music Studio. We provide a welcoming, relaxed and inviting atmosphere, where your creative juices can always be flowing. Contact us today to learn more about our song writing collaborations and lessons. You don’t have to “Write Us a Love Song,” but we can certainly help you write your next great song!